Margaret Cho is arguably best known for her stand-up but she has been on the National stage since her 1994 sitcom, “All-American Girl.” Cho garnered attention for being one of the few Asian-Americans to be the central character in a TV show. Later, she revealed in her stand-up that she had been struggling with an eating disorder and became outspoken on both the topics of sizeism (way before it was cool) and the intricacies of racism in Hollywood. The T part of our rainbow gets so little love from celebrities. 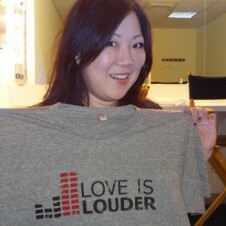 But Margaret Cho is an inspirational lady if you’ve ever struggled with gender, sexuality, weight, disordered eating or racism: she’s not afraid to talk about any of it. Posted March 15th, 2013 & filed under Entertainment.